… a not-for-profit initiative, born and rooted in the classroom and designed to support teachers of religious education in five distinct ways. 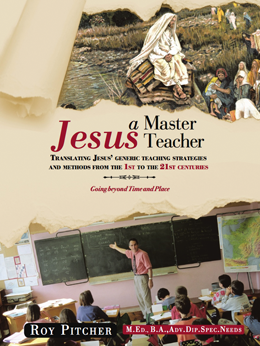 Introducing the book “Jesus – a Master Teacher” in which Jesus’ teaching strategies and methods are translated into 21st century teaching both in religious education and across the wider curriculum. Providing an extensive range of RE projects for KS3 – the “Religious Dimension”. Operating a co-operative project development system for individual teachers seeking to develop materials that are either unpublished or only partly published. Hosting one-day courses that consider significant contemporary issues in RE and the humanities. Providing a range of films of lessons that illustrate classroom practice. Taught RE is strictly a not-for-profit venture seeking only to meet its costs. Any profits will go to Hope Uganda, supporting a home and school for orphans and destitute street children in Lukaya, Uganda. Over the last 12 years, this self-help initiative has been remarkably successful in taking four-year-old children off the street and nurturing them. During this time a small group in South Cheshire has raised over £100,000 to support the work. Please take a look at the films about the work in Uganda on You Tube. A major function of this website is to foster co-operative developments and produce materials that might initially be idiosyncratic but which can be used and perhaps further developed by other teachers. To get a good overview of the breadth of Taught RE’s work, you may wish to visit the following website pages in sequence. one day courses – presenting fresh instructional /creative materials.